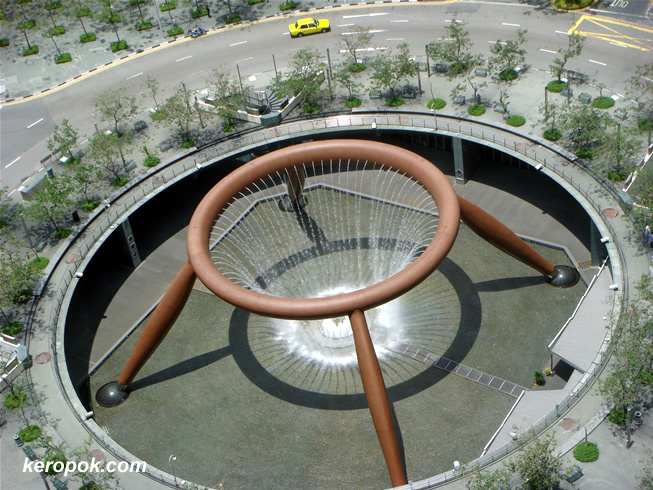 Fountain of Wealth, Suntec City. Viewed from one of the business towers at Suntec City. It used to be the largest fountain in the world. But I am not quite sure if it still is. Posted a similar photo from ground view some time ago here. Great angle. I like the little yellow car. Took it from I think a window facing the fountain in Tower 4.